Frankenstein Punch is one of our favorite Halloween party drinks, but if you want to take Frankie on the road with you (or just to school) then these Frankenstein juice boxes are for you. I know what Miss Ruby is getting in her Halloween lunch box this year. Move over mummy juice boxes, there is a new monster in town. 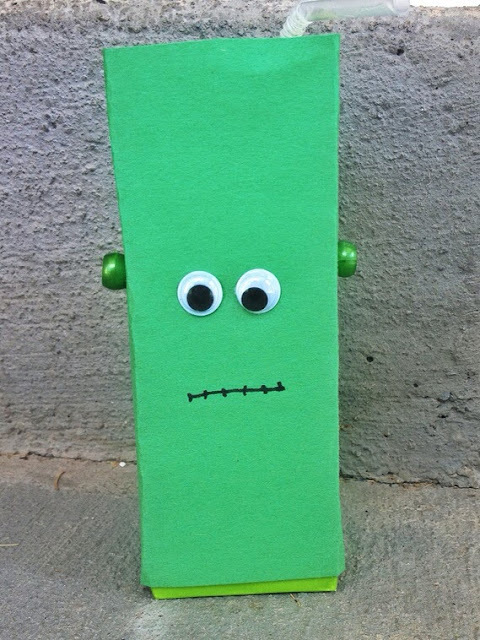 You can check out how to make Frankenstein juice boxes over at House of Paint.